Finally! A new Photo of the Month. I seem to have missed December. Oi! You know you’re too busy when…. 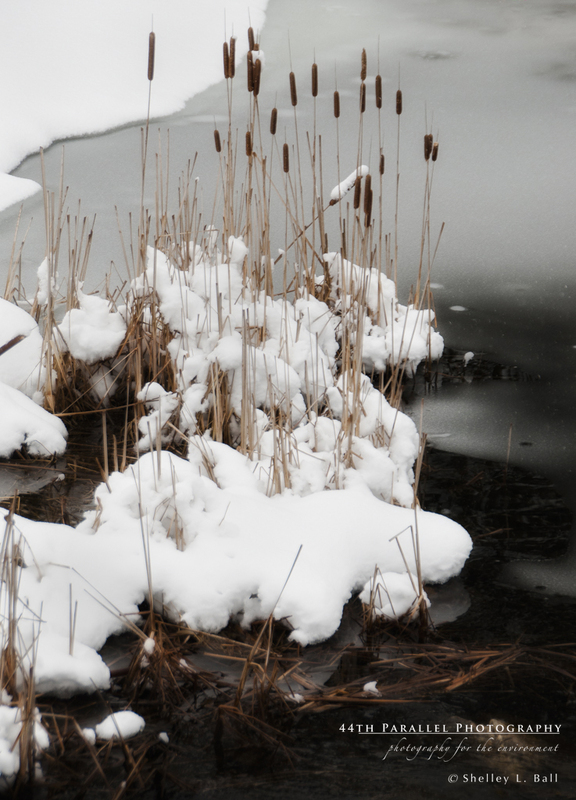 If you live in a place that has snowy winters, I really do hope you’ll get out with your camera. 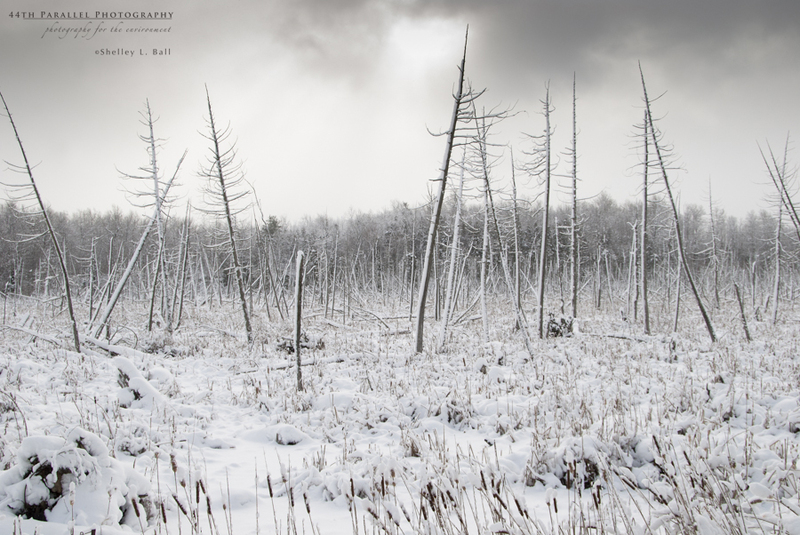 I truly think it is one of the best times of the year for landscape photography. Tomorrow is the Spring Equinox – the official first day of spring. Yay! But it sure doesn’t look very spring-like outside right now! Overnight and through today we’ve had about 10 cm of snow dumped at our front doors and apparently more is on the way. Most people I talk to have had enough of winter now and find this pretty discouraging. True – I’d be happy for some warmth, sunshine and birds singing. This is probably our last blast of winter for this season. 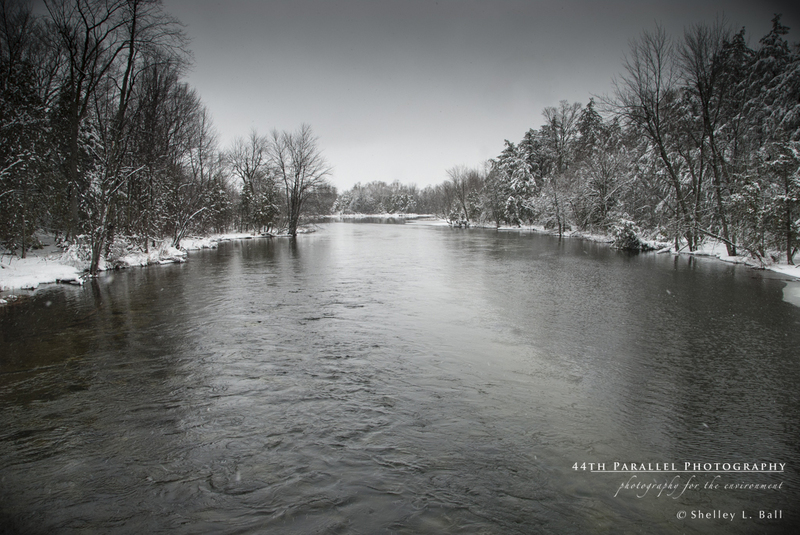 So to celebrate the end of winter, I thought I’d post some images from winter around Lanark County, Ontario. Enjoy! 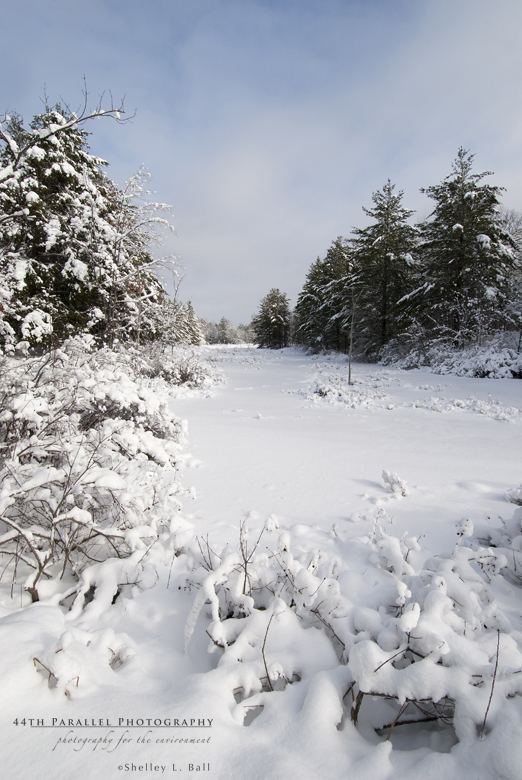 Beaver ponds are plentiful around Lanark County. Cattail marshes with old dead trees can be picturesque, especially on days with moody skies. 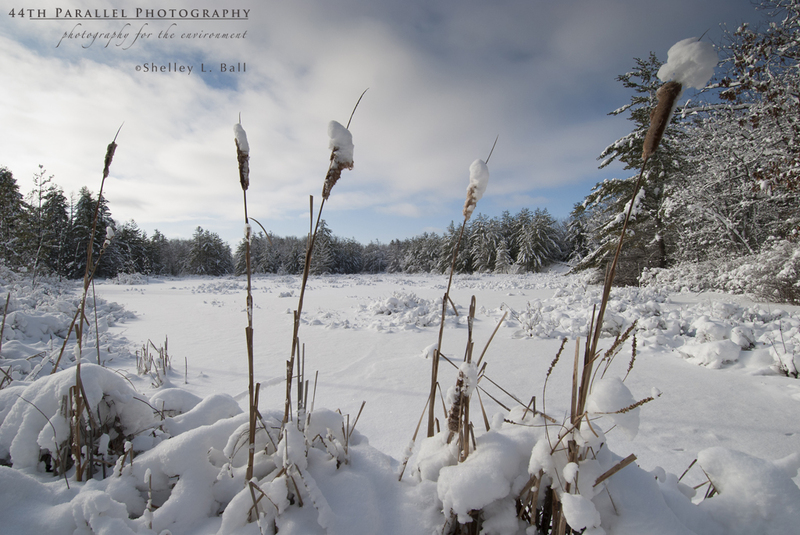 I love isolating just a few cattails and some snow. The Tay River from the Christie Lake Road bridge. 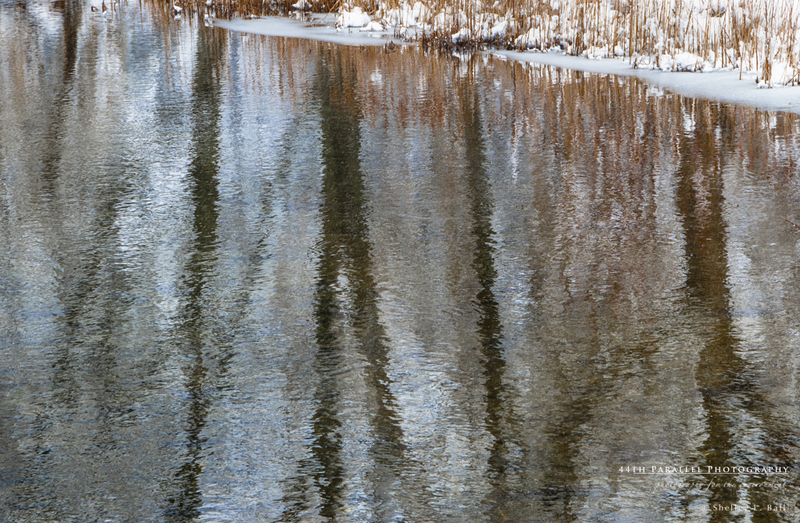 Trees reflecting in the Tay River. A few rustic highlights along the Tay. Along Althorpe Road after a blizzard. 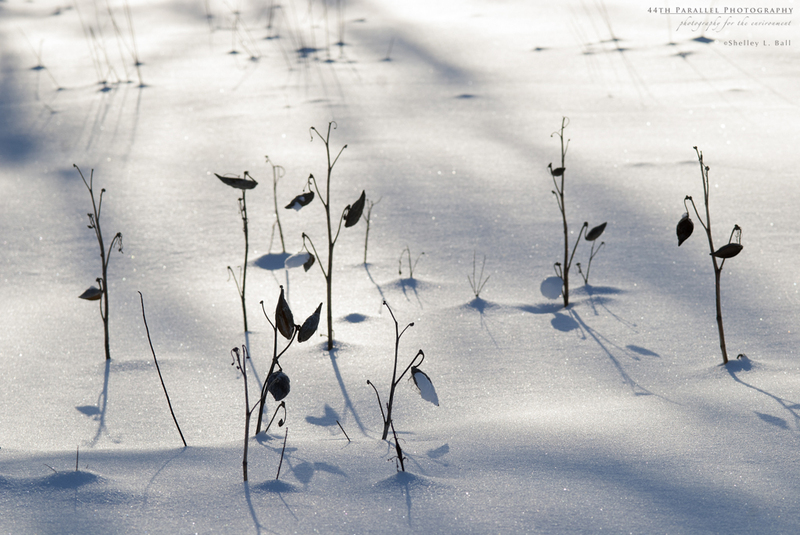 Dead milkweed pods in the snow. The late day sun casts lovely shadows. 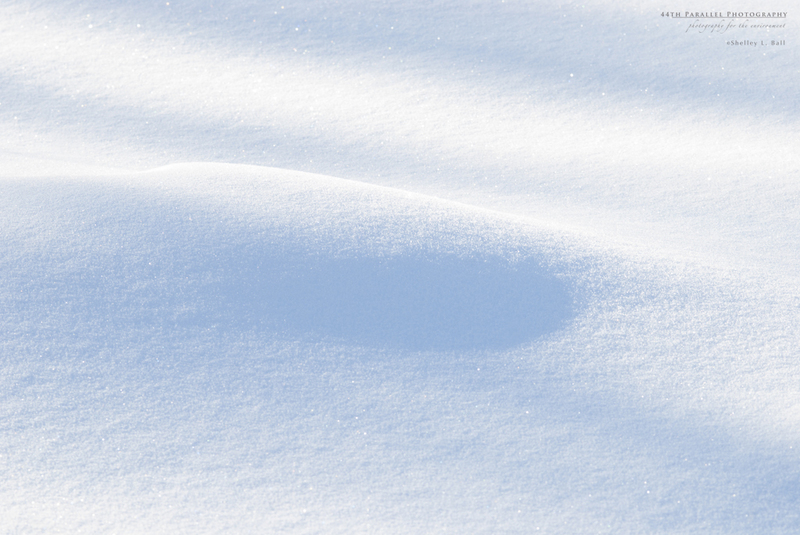 I love the blue shadows the late day sun creates on the white snow. 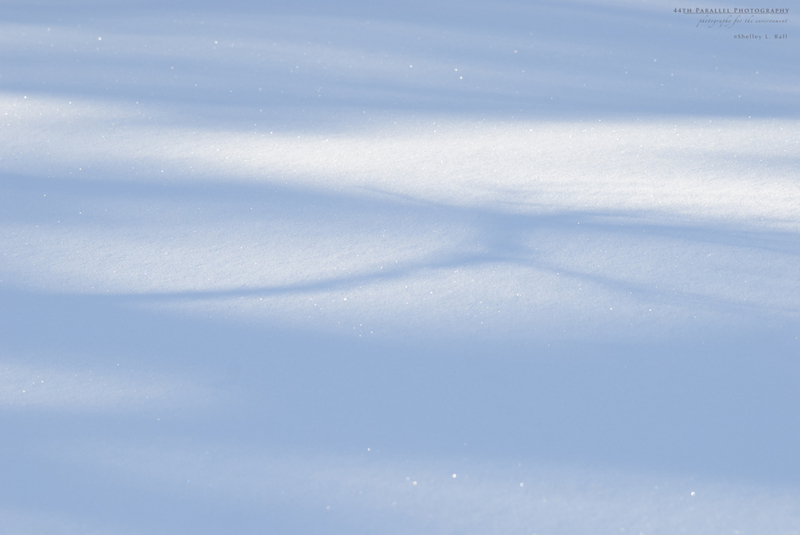 Tree branches casting a shadow on the snow. 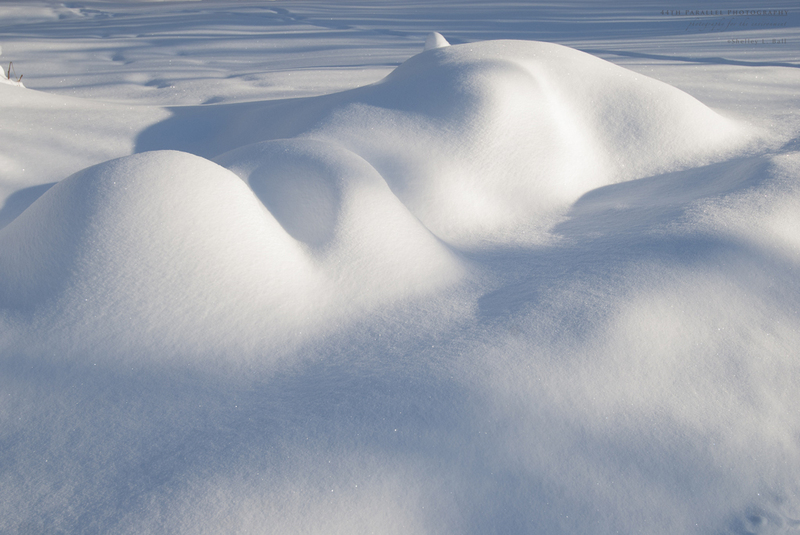 Mounds of snow sculpted by the wind. 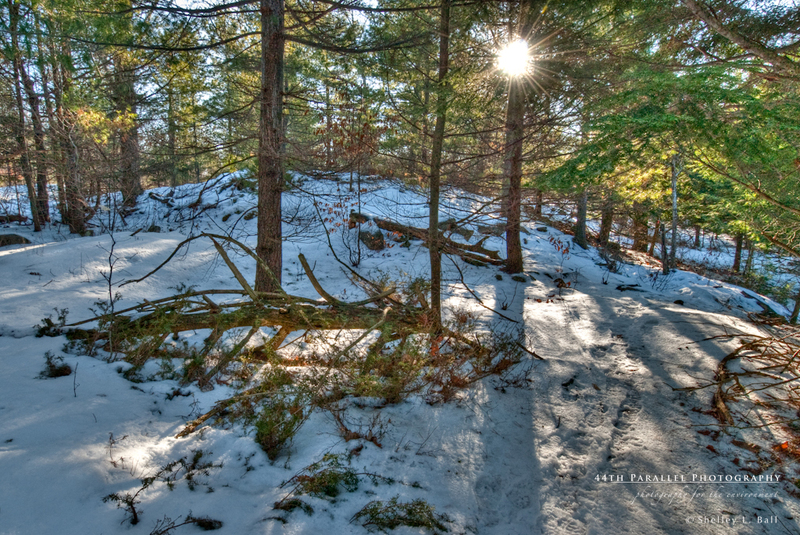 Sun shining through the forest trees. Late in the day on the far side of our pond. 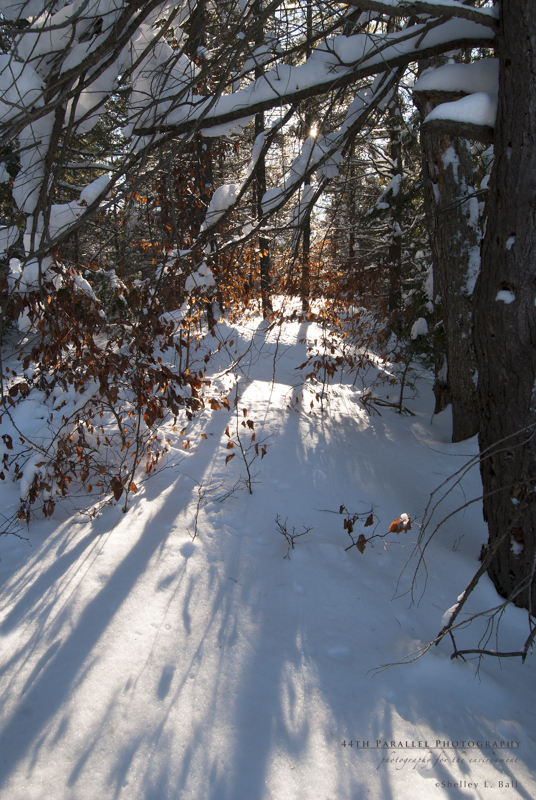 Fresh snow creates a winter wonderland. Tea coloured ice from the tannins leached from the fall leaves. 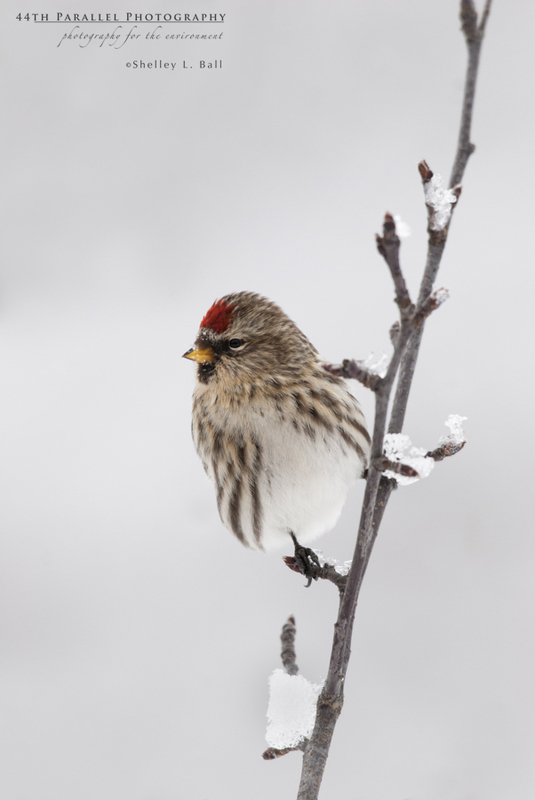 Some of winter’s visitors to the area – a Common Redpoll. 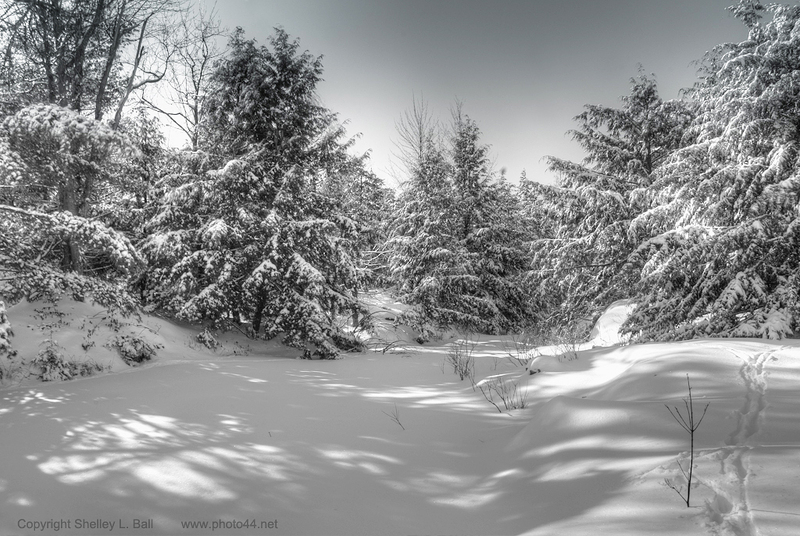 This week’s Photo of the Week is of some of the elegant landscape Mother Nature creates with a snowstorm. 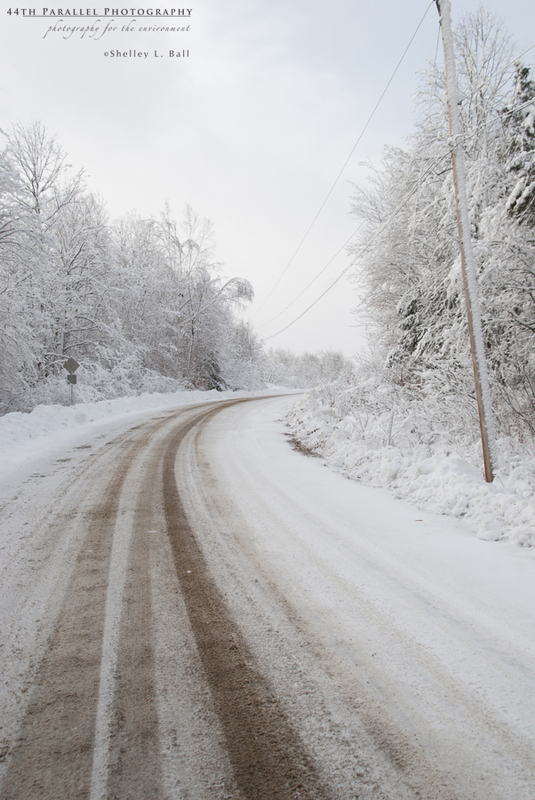 Last week she walloped us with another blizzard – more of the wet, sticky snow we had at Christmas time. 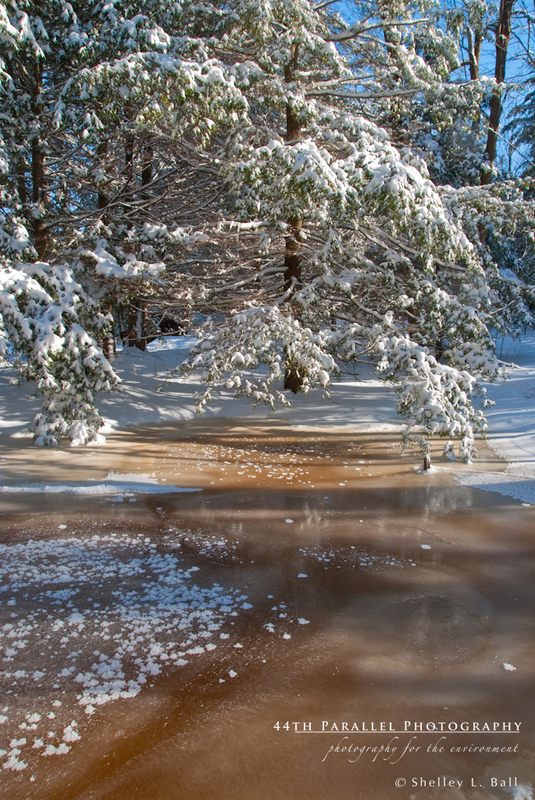 This sticky snow coats the tree branches, creating beautiful nearly-monochrome landscapes. 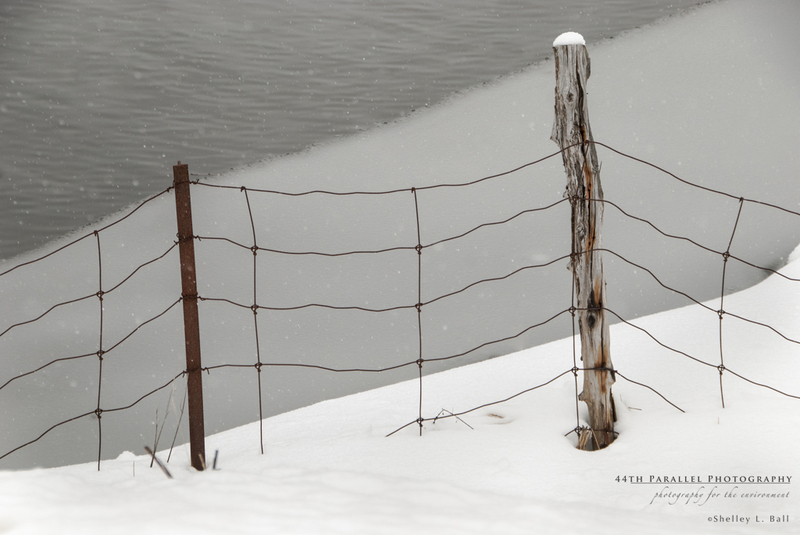 Click on the thumbnail below to read more about 44th Parallel Photography’s Photo of the Week. Ah, it’s good to be back and working on the Photo of the Week after a brief trip out west for work. When we flew out to Edmonton it took us nearly an extra hour (of an already nearly 4 hour flight) just because the headwinds were so extraordinarily strong! Nothing like battling the jet stream…. I think those winds landed here. Today, I’m sitting at the computer wondering if the roof will lift off or that I’ll feel like I was teleported into a colourized version of the Wizard of Oz as the house gets sucked off its foundation. Sheesh! Our noisy, windy day today compelled me to post a photo taken last year at Sharbot Lake, but it actually looked pretty similar here an hour ago. For me, this Photo of the Week illustrates that you can make some great images in the worst of weather. Being out in 70 km per hour winds and driving snow doesn’t feel good. But it can offer some pretty impressive and interesting photographic opportunities. 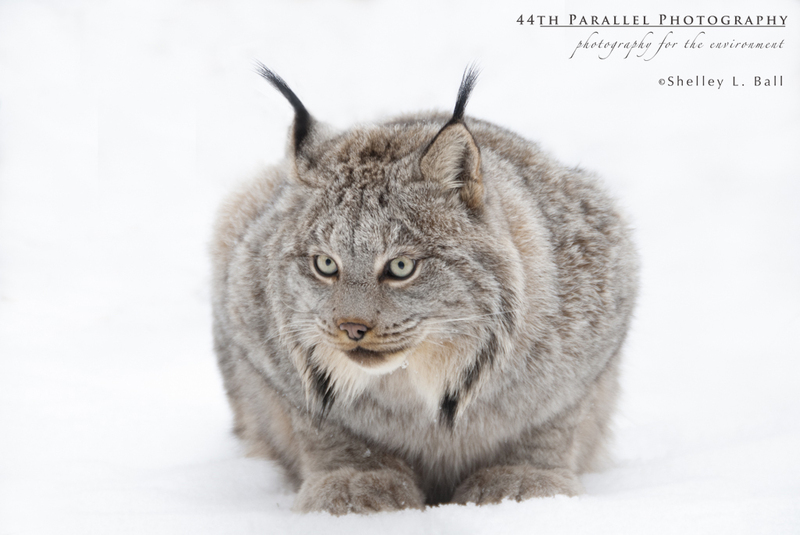 Click on the thumbnail below to have a look at this week’s Photo of the Week from 44th Parallel Photography. 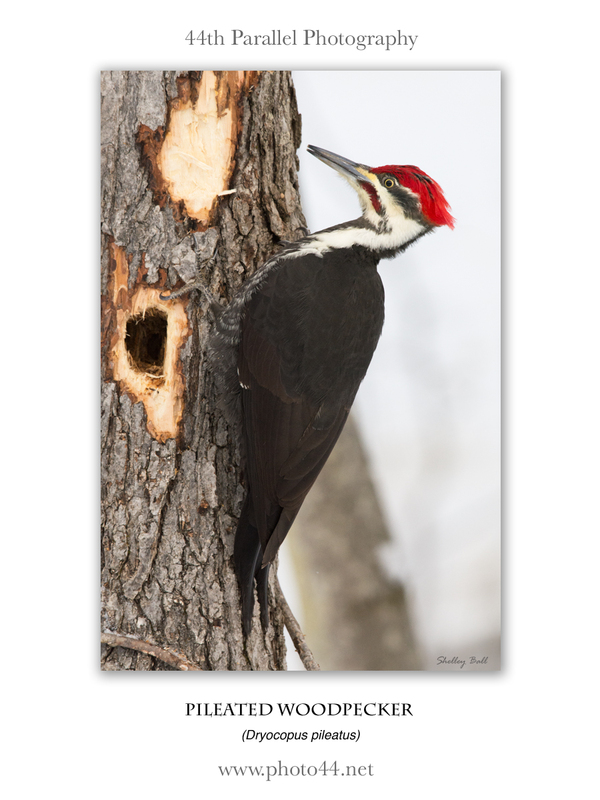 Click on the thumbnail below to view 44th Parallel Photography’s Photo of the Week.